Prescription drug overdose statistics in Summit County continue to mirror that of the rest of Colorado, and new federal and state regulations for drug take-back programs could add to the growing problem. The most recent data ranks Colorado No. 12 in the nation for abuse or misuse of prescription medications, with an average of 35 residents dying each month from medication overdoses. Summit experienced seven accidental fatalities tied to the cause in 2015, and, in a recent survey, 15 percent of those teens polled around the county said they have used drugs prescribed for someone else. In 2014, the state’s General Assembly passed House Bill 14-1207, then signed into law by Gov. 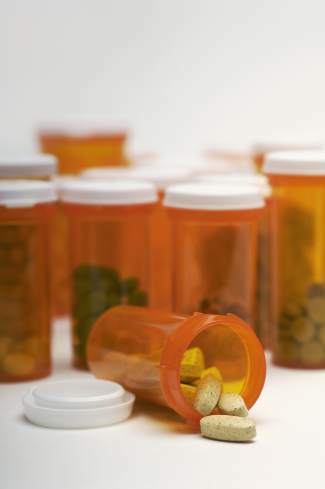 John Hickenlooper, to create funding for Colorado’s medication take-back programs. The state’s Joint Budget Committee funded the program at $300,000 in the 2015-16 budget. Meanwhile, expanded Drug Enforcement Administration rules nationwide now allow for pharmacies that previously put out a drop box to take expired or unnecessary over-the-counter medicines and certain types of prescription drugs to start accepting controlled substances, too. Colorado’s Department of Public Health & Environment followed suit with new statutes to better align itself with the new federal mandates, but it’s at least, initially, having an inverse effect, as some of these partner organizations remove their programs to avoid dealing with narcotics. As of this week, at the end of business on Tuesday, June 21, the local City Markets in Breckenridge and Dillon will forego their drug take-back program. In turn, aside from a couple annual events, the Sheriff’s Office in Breckenridge will be the only drop-off site remaining in Summit County. A spokesperson for The Kroger Company — owner of City Market, King Soopers and a number of other supermarket chains across the county — could not be reached over the weekend. A pharmacy technician at the Breckenridge store not authorized to speak on behalf of the company could provide only general information. He confirmed receiving notification about a month ago that the location would be removing its box but was unsure of why. He also said the pharmacy would begin selling envelopes from a third-party company for about $4, so customers who did not want to go to the Sheriff’s Office could mail in undesired prescriptions. He said the community consistently uses his department’s Summit County Justice Center drop-off location — a mailbox-sized receptacle in place for a few years — and that it fills up quickly. And, while these other county locations are for now drying up, the Sheriff’s Office is actually broadening its take-back program by teaming with Summit Public Health to offer a needle drop-off container at the same location as well, hopefully offsetting an increasing issue with needles being slid into the prescription box. Also in collaboration with Summit County government, the Northwest Colorado Council of Governments, the High County Conservation Center (HC3) and the Healthy Futures Initiative, the Sheriff’s Office is reaching out to other law enforcement agencies in Summit to provide other take-back sites. Dillon Police Chief Mark Heminghous is the first to come forward saying the Dillon Police Department is open to the idea. HC3, a leading voice in the region on matters of sustainability and conservation, first got involved with the drug take-back initiative because it was trying to help the community avoid these harmful substances from landing in the local drinking water. Under the old guidelines in place until this month, the environmental nonprofit helped coordinate the local City Market participation a couple years back. Burley said she and HC3 would continue to work alongside these various community entities to ensure drop-off sites are both available and convenient. She added that the need for the program absolutely remains in Summit from a number of standpoints. The annual countywide Clean Up Day — where the Sheriff’s Office collected 117 pounds of drugs on May 21 at this year’s event — is one option for those wishing to dump their old prescriptions. The yearly 9Health Fair at Summit High School in Frisco is another. Still, because local citizens may see presently only having an option Breckenridge as a potential barrier, the search for other drop-off locations in the county carries on.